The solicitor says it appears the woman was discharged from hospital without any consideration of her needs and is now effectively homeless. 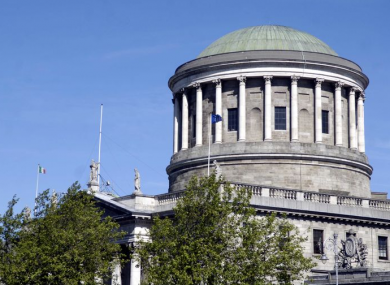 THE HSE HAS been directed to explain before the High Court why an at-risk woman recently discharged from hospital has ended up living in “appalling circumstances” in a boarded-up caravan. The woman, who is aged in her 40′s, has an intellectual difficulty, abuses alcohol and has a mental health disorder, is a ward of the court and cannot be identified in media reports for legal reasons. Those treating her also have concerns about her history of starting fires, and on one occasion some years ago she set fire to her own mattress. Arising out of concerns for the woman’s current safety the solicitor representing the Office of the Solicitor General Wards of Court has brought proceedings where it seeks to have the HSE furnish a discharge plan in respect of the woman. It wants the plan to set out what steps the HSE will take to assure the woman’s safety and take account of her needs and behaviours. The woman had been a patient in the psychiatric unit of a hospital for some months, and her case had been before the High Court last April. She had been receiving care at the hospital and it was envisaged that she should be given a supported community placement and that given her vulnerability she would reintegrate slowing back into society. The Wards of Court office had believed she would be kept at the hospital until October. Today, David Leahy Bl for the solicitor representing the Wards of Court said that several weeks ago the woman was released from the psychiatric department of the hospital. The woman, counsel said, was deemed to be at risk from self-neglect and exploitation by others. She was found by an independent social worker in recent days to be living in “appalling” and “disturbing” conditions in a remote scrubland living in a “close to uninhabitable” caravan, which is leaking and has boards placed in front of its windows, counsel said. She had been discharged into the care of her sister, who was subsequently found to be homeless, counsel said. Counsel said that a letter sent by his client to the HSE seeking to have the woman’s situation regularised has not been responded to. Today, the Wards of Court office secured permission from Justice Tony O’Connor to serve short notice of the proceedings on the HSE. The judge, who made the order on an ex parte basis, made the matter returnable to early next week. Email “HSE called before High Court to explain discharge of woman now living in 'appalling circumstances'”. Feedback on “HSE called before High Court to explain discharge of woman now living in 'appalling circumstances'”.